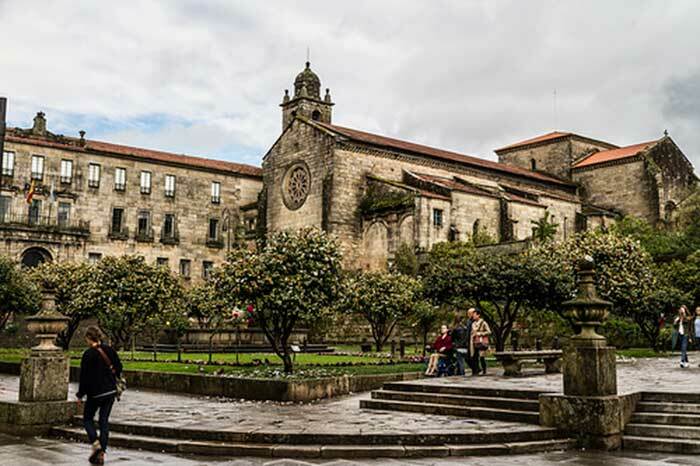 Pontevedra is a town on the original Camino Portuguese and its origin is linked to its strategic location, firstly because it was a Roman town and secondly because of the medieval route of the Camino Portuguese to Santiago. Pontevedra had its heyday during the XV and XVI centuries, thanks to its port and Sardine fishing, when it became the largest population in Galicia. In 1833 it was declared a provincial capital. Pontevedra has been shaped by a rich maritime and trading past. As you leave Pontevedra’s alameda you cross a busy junction with the city’s old town directly in front of you and the ruin of San Domingos church to your right. Straight ahead is the Pazo do Concello , town hall and council offices, which has a granite and white rendered frontal facade. Once you pass by Pazo do Concello , you will get into Pontevedra ´s old town, you can get lost in its historical stone streets. Just past the town hall, the recently restored long and narrow city theatre, Teatro Principal sits to the right. This theatre is built on the original site of St. Bartolomeu’s church which was destroyed in 1842. 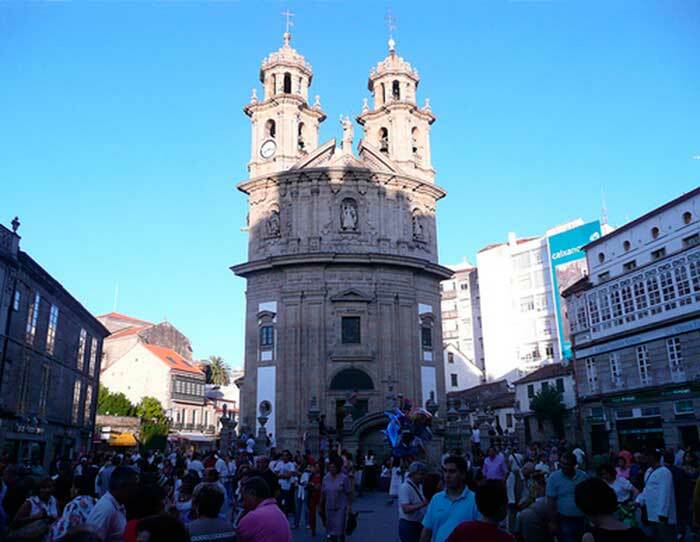 It is also from this point that you can easily reach the first of Pontevedra’s famous squares, the Plaza do Teucro, another popular square is Praza de cinco rúas. A Praza da Ferrería (Ferrería square) is a symbol in Pontevedra because it is surrounded by the Igrexa de San Francisco and the Pilgrims chapel. The “Capela da Virxe Peregrina” is a highly unusual building situated in the “Praza de Peregrina” (square of the pilgrim) which is part of the larger Praza da Ferrería. The “Capela da Virxe Peregrina” has a ground plan in the shape of the “viera” (scallop shell), the traditional and long lasting symbol of pilgrims and the pilgrim’s route to Santiago de Compostela. It also has the shape of a cross embedded within the scallop shell profile. 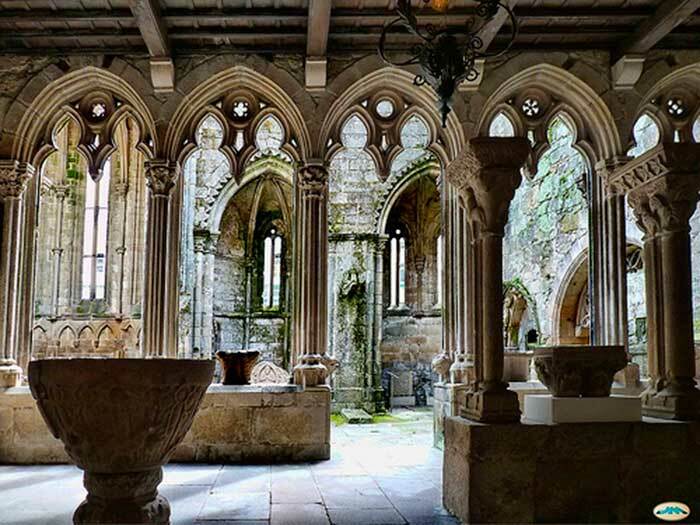 It is also worthwhile to visit the Basílica de Santa Maria a Maior, which is famous for Pontevedra´s long seafaring history. The seafarers provided the finance for this large temple during 15th, 16th and 17th centuries. Many of the lively squares and streets in Pontevedra’s Old Town take their name after guilds or trades, a tradition dating back to the Middle Ages. So the Praza da Leña is the firewood square, the Praza da Verdura is the vegetables square and the Praza da Ferrería is the blacksmith square. In another part of the town you will find the church of San Bartolomeu, which is in the same locality as the main museum buildings and the square Praza da Leña. 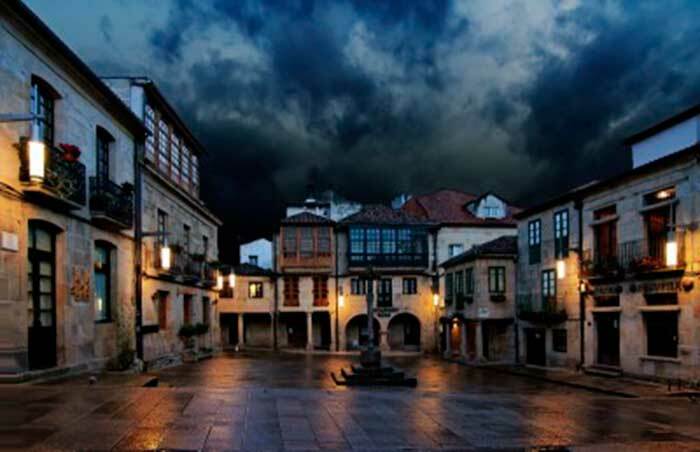 In this square you will find a classic “cruceiro” (granite cross monument), elegant houses with granite arches and terraces where to chill out.The busy narrow streets are pleasant to be paced, feel free to wander around exploring its old granite streets, admiring the elegant buildings and having delicious tapas in the old town of Pontevedra. Apart from sight-seeing you should also experience the daily routine of hundreds of locals in Pontevedra, that´s to say, you could visit the food market, which is in the old town and it is an amazing show of mouth-watering range of seafood, cheeses, fish, vegetables and any other kind of local delicatessen. 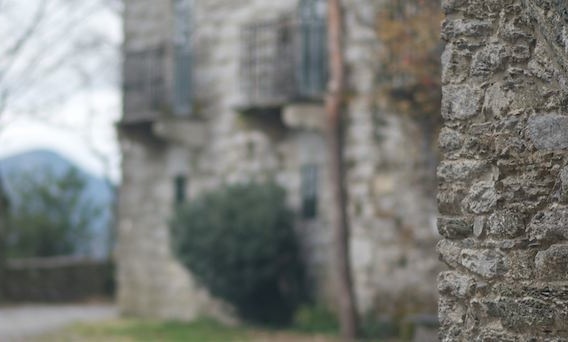 Finally, the best way to discover Pontevedra is on foot, as a pilgrim you are the perfect visitor and you will enjoy the old town strolls, the greenery in the Alameda and the sea-breeze along the promenade. But if you are interested in spending more days in Pontevedra you could discover Rias Baixas. Our next post.